Insight Conference Discounts – Hurry!!! Posted by admin on September 1, 2015 under DB2 Education, Insight 2015, International DB2 Users Group (IDUG), TFG Blog. Tags: DB2 Education. As everyone knows, when school starts, it’s time to begin planning for the annual IBM Insight Conference. For those of us (like me) whose presentations were not selected there’s no free pass…just a ticking clock with the conference fee going up, up, up until it reaches the final $2,295 full price. Yes, that’s the cost if you don’t act early and snag a discount. The first round of discounts expired in early August, so if you haven’t registered yet, you missed the really good one, the Early Bird $700 discount. But…my procrastinator friends…there is still a $300 discount available through September 18th. One more thing: before you start punching in that credit card number, check with your local users group to see if they have any passes or discounts available, and check with your friendly IBM rep to see if he or she has any education packs or discount options available. IBM Education Packs, the coupons you buy to pay for training classes, can be applied to the conference fee. 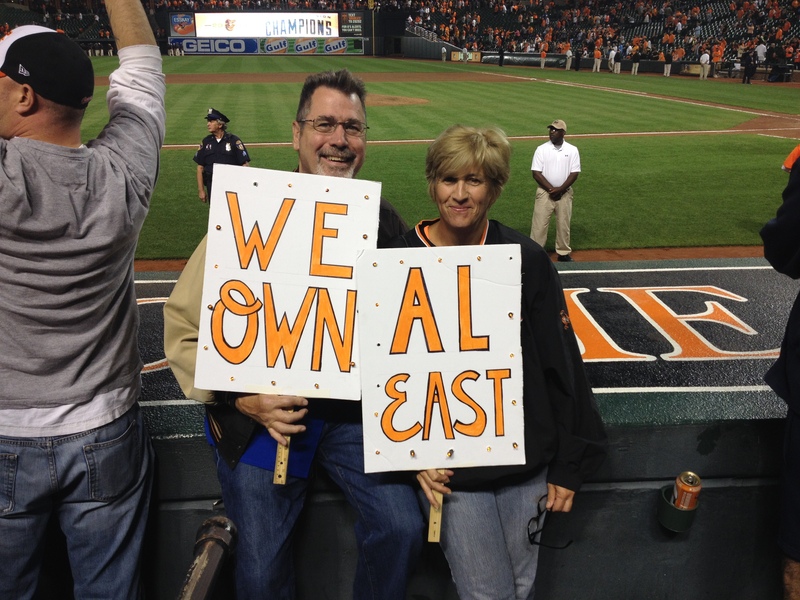 Win Some, Lose Some – Go O’s! Posted by Kim May on September 17, 2014 under Authorized Training Partner, DB2 Education, Frank Fillmore, Global Skills Initiative, IBM Champion, IBM DB2 Services, IBM Training Services Delivery Partner. Tags: Authorized Training Partner, DB2 Education. Frank and I attended the Baltimore Orioles game last night. With the Orioles win (8-2!) 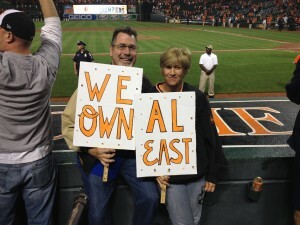 the O’s clinched the American League East. The energy at the game was amazing! The O’s 2014 season story highlights the importance of a shared team effort, as they overcame the loss of three All-Stars during the season, and consistent leadership, as Manager Buck Showalter calmly rolled through the season focusing on one game at a time. Sadly for Frank and me, this is the first year we haven’t been able to share Baltimore baseball with any students attending classes at The Fillmore Group. Unlike the Orioles and their stellar 2014 season, the Global Skills Initiative team continues to talk a good game, while delivering very little. The losers? IBM customers needing skills to be successful. And, unlike baseball, there isn’t necessarily a next year for many IBM customers, as there is growing pressure on IT teams to rapidly implement and support best of breed technologies. IBM’s products may be the best, but training is the glue needed to make them stick. Today I am focused on being happy for the O’s and sending greetings to our former students who attended games while in Baltimore for class. I hope we will have a chance to send you to more games in the future. Posted by Kim May on May 16, 2014 under DB2 Education, DB2 for z/OS, TFG Blog. Tags: DB2 Education, DB2 for z/OS, IBM Academic Initiative. The Fillmore Group has, at least in our opinion, access to some of the best DB2 for z/OS consulting and staff augmentation talent in the world. Need help? Email me! However, as we heard recently from two successful mainframe customers at a class in Baltimore, finding young IT professionals interested in mainframe-centric careers is really tough. Add to this the challenges in the world of IBM training, and the convergence of the aging z technical teams with the lack of young, skilled talent, and this becomes another factor jeopardizing long-term prospects for the IBM mainframe. IBM has been trying to address the problem by enabling colleges and universities around the world to use IBM curriculum and remote labs to teach mainframe technology courses. I spoke recently with IBM’s Don Resnik, who runs the IBM Academic Initiative, and Don re-introduced me to the program and shared some terrific resources. As it turns out, there are three schools on the East Coast offering a mainframe track: Radford in Virginia, and Syracuse and Marist in NY. This week many colleges are holding graduation ceremonies. If your organization would like to invest in the future of the mainframe, I recommend you spend a few minutes reviewing the information in the Academic Initiative website as well as the website where many students have posted their resumes, and where you can post job openings, www.systemzjobs.com. As the parent of a college student anxious about his post graduation job prospects, I encourage everyone working with the mainframe to consider hiring a recent grad. It’s a win-win.